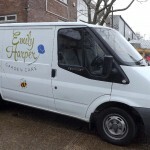 The new year has seen a huge influx of van sign writing and vehicle graphic requests. Some are new start up businesses while other have been from existing clients who are expanding their fleets. Either way it just goes to show that business owners of all size companies understand how effective a sign written vehicle can be. Why? 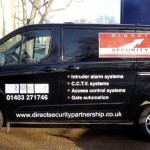 Well for a start, your van is on display wherever you work and serves as a constant source of promoting your name, your services and your contact details…24 hours a day, 7 days a week. 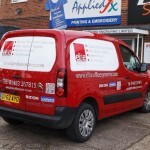 There’s also the confidence factor and how you’re perceived as a business – A sign written van shows your customers that you’re serious about the way you run your business and that you can be trusted to fulfill whatever service they demand.